Christmas is going to be here before you know it. I’ve been working on some ideas for easy to make Christmas gifts that are inexpensive to make. This recipe was inspired by my friend Sandra’s Brown Sugar Body Scrub. 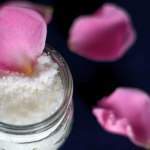 I decided to use rose oil to add fragrance to the sugar body scrub. I just love the scent of roses. This body scrub has a wonderful but not overpowering scent of roses. Just enough that the warm steam of the shower makes the whole room smell wonderfully. 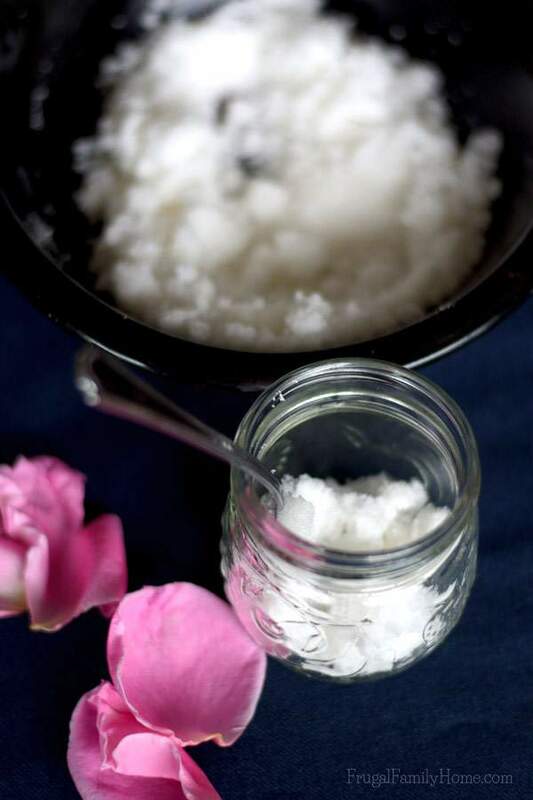 If you like more fragrance in the sugar body scrub, just add a few more drops of the oil. 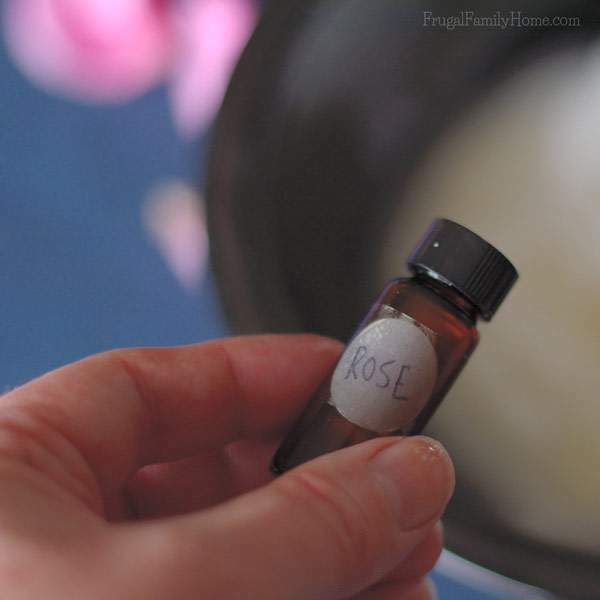 I purchased my little bottle of rose oil, a few years ago and it has retained it’s fragrance really well. 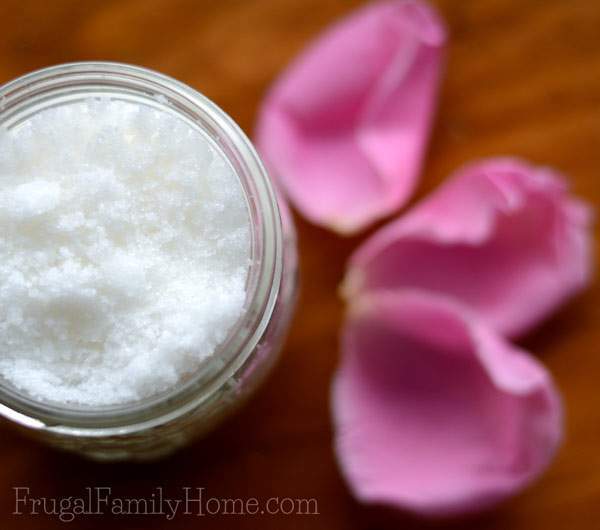 This recipe for rose scented sugar body scrub is super easy to make. If you need to make more than one batch for gifts, I would mix them up separately. Getting the sugar and the oil to combine well might be hard, if you double or triple the recipe. To start, measure out the sugar into a medium to large bowl. You want enough room to be able to really stir the oil in. To the sugar add the melted coconut oil and 3 drops of rose oil. If you want more scent be sure to add in a few more drops. Then stir to combine well. When it’s mixed adequately it will be slightly clumpy without any loose sugar. Add the sugar scrub to a clean jar. I used a couple small jelly jars with the two piece lids for the top. To dress the jars up for a gift, you could place a small square of fabric between the two piece lids and add a ribbon with a tag. 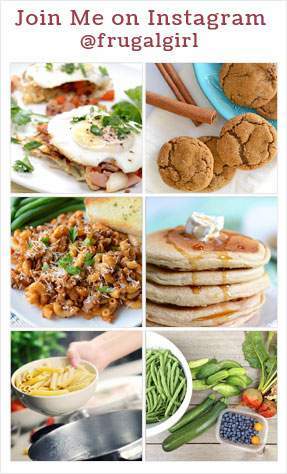 I’ve been using this recipe for about a week now and I love it. It smells great in the shower. I store it in the bathroom but not in the tub area. I don’t want any water getting into the jar and ruining it. With my little guy that just might happen. I think this sugar scrub will store for about 3 months at room temperature without any problem, maybe longer. But I know mine won’t last that long. 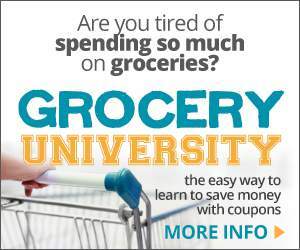 I’ve been using it about 4 times a week. 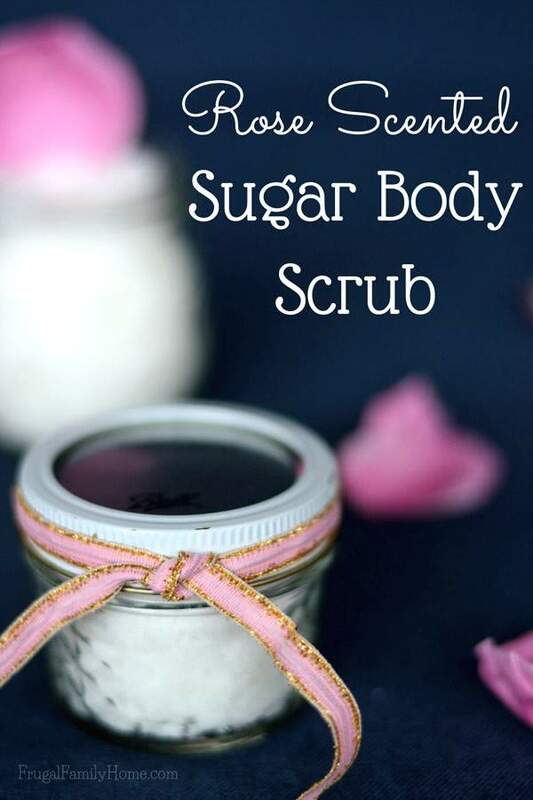 The sugar does a great job of exfoliating the skin and the coconut oil leaves it feeling so soft. I just love this stuff. 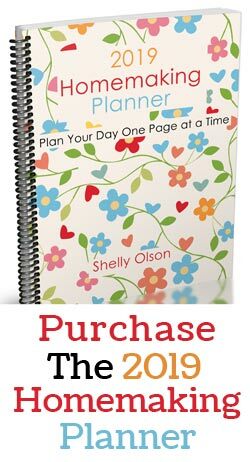 If you have someone who loves to be pampered on your Christmas list, this would make a great gift. In a large bowl place the sugar. 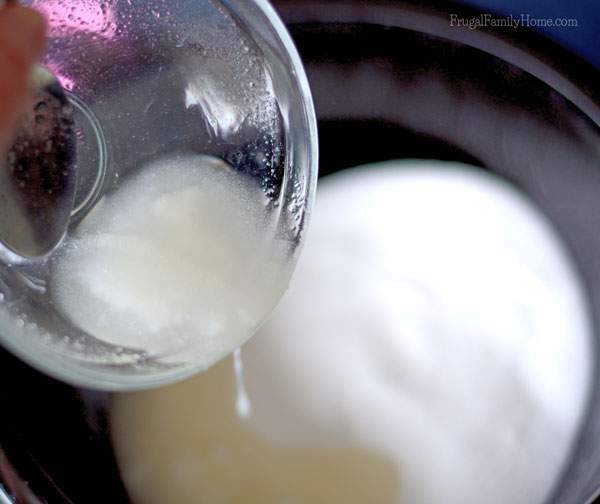 Melt the coconut oil in the microwave or on the stove. Add to the sugar. Add the rose oil to the sugar and coconut oil. Stir to combine well so that all the sugar is coated with oil. Place in a clean jar with a lid. Rub on your skin in the shower and then rinse off. Be careful, the oil in the scrub might make the tub or shower floor slippery. What do you have planned to make as gifts this year? This sounds like an awesome sugar scrub, Shelly! 🙂 Pinning it for later! Sandra, it did turn out well. I was hoping to add in some dried rose petals but it didn’t work out. Maybe next time.